Welcome to the order wizard! The order proces is very simple, please follow the steps in the order wizard. Introduce yourself — tell us if you're a returning customer or not. Choose license type — select the license type you would like to purchase. Enter license details — choose the number of supported client workstations. You can also pick appropriate discounts. Choose payment type — you can transfer the payment using your credit card, Western Union money transfer or bank wire transfer. Learn more about payment methods. Enter your personal details — provide us with the information we need to create your license. 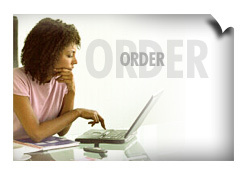 Place your order and proceed with payment — send your order to us. Your license will be sent to you as soon as your payment is processed. You can check license prices and discounts on the pricing page. Payment details will be displayed on the final page of the order wizard, you'll also find them in the e-mail confirming your order. Feel free to contact us in case you have any questions concerning the order process. I already have a license for CafeSuite. ClientID and password were sent to you together with the license key. Use the License command from Program menu in CafeStation to check it. We offer you a fully functional free version of the software. Please test the software before ordering, because we can't offer any refunds after the purchase. Also, please note that in case we receive a credit card chargeback for fraudulent order we would block the license key and the software would stop functioning.